In October 2011 Jan & Dave Hutchinson (maybe more Dave than Jan) took the plunge and decided to continue the sailing adventure in the 64 foot catamaran Dulcinea. 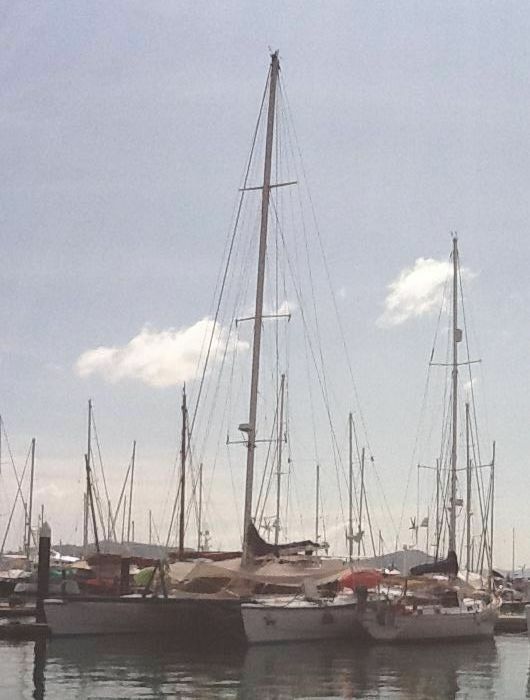 Dulcinea dwarfed Harmonica when we first brought the two alongside In Yacht Haven Marina to transfer things across. Planned itinerary which we can change whenever we feel inclined.